When it comes to a relationship break up and divorce, there are no winners. The challenges you face during a separation and divorce are not easy, no matter which side of the table you’re on. From worry about your children’s wellbeing to negotiating a property division, you must find the best solution for your family before you can move forward. Perhaps no one knows that better than Wayne Dawkins a Perth Family and Relationship Lawyer. When you’re facing something as emotionally difficult as the dissolution of your family you don’t want the added burden of going to court. Instead, you want help from someone who is focused on finding a compassionate resolution for your family. Separation and Divorce. From the moment you make the decision to end your marriage or de facto relationship and tell your partner, you are separated. This is when the hard work begins. During a separation you have to decide how you will move forward. We can provide the guidance you need during this difficult period in your life. Collaborative Solutions. It takes a village to resolve your divorce peacefully and amicably. With our help, you have access to an independent financial planner, independent mental health counsellor, and any other outside resources you need to resolve your separation without conflict. Avoid court hearings and keep the situation as calm and stress-free as possible with our collaborative divorce solutions. Property Settlement and Spousal Maintenance. 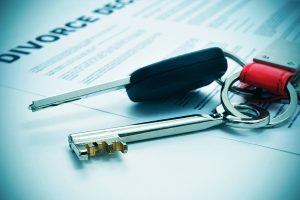 Part of any separation and divorce is dividing up property. In addition, you may be entitled to receive spousal maintenance depending on the details of your specific situation. With a family lawyer working on your case with you, you will receive assistance and guidance to reach a fair and just agreement in each of these sensitive issues. Children and Parenting. 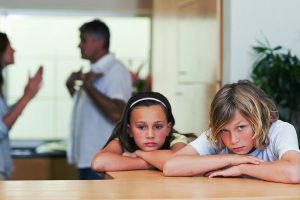 It’s not your children’s fault that your relationship and marriage is ending, but they are directly impacted by the separation. By working with a lawyer who understands the legal and practical issues behind children and parenting concerns during a separation, you can find and work towards the best resolution for your kids. Minimize the pain and grief you experience in your separation and divorce with help from Wayne and his team. Together, we will help you reach the best resolution possible during this trying time so that you can have the closure you need to move forward. Wayne’s background in management, negotiation, contracts, and counselling makes him uniquely qualified as a family lawyer in Perth. In addition to understanding the legal matters that impact separation and divorce in Western Australia, he also knows how to work with people to find the best solution possible. With a relentless focus on providing information, support and grounded realistic advice, to help you find peace of mind, you have a compassionate Perth Family Lawyer on your side. If you are looking for relationship counselling and life coaching in Perth our family law firm recommends speaking with Lynne Foote. Ready to get started? Contact our Perth office today by calling 08 9214 3887 to schedule a time to talk.